Keywords are the words and phrases that Internet users type into the search box to find what they are looking for. It's important to study your topic, and do keyword research before choosing keywords to target on your site pages. 2. Why are keywords important? Keywords are important for search engine optimization because if you want to get traffic to your site from the search engines, you need to have the most relevant ones appear in your pages. 3. What is keyword research and how does it affect SEO? What keywords Internet searchers are using that relate to what you have to offer. How popular various keywords are. How competitive various keywords are. Keyword research tools will give you insightful information on words and phrases that people are using to find what your website provides. You will find average search volume, competitiveness and more. The search engines have a huge job! Can you imagine sifting through millions of webpages and finding the very best one for the search phrase "how to grill chicken"? But that's what they do; that's why you use them! A big part of search engine optimization lies in discovering what words and phrases searchers are using to find what you provide... and then delivering the best information to those searchers. It isn't a mystery and it isn't a quick process. It takes research, time and dedication. The search engines want to display the best information... so become the best information provider! Take your time researching and put some thought into choosing keywords to target on your site pages. It's important to have a plan of action before you start to build your site. If you have done some keyword research and have a list of keywords that you would like to have your site show up when a user types those keywords into the search engines, then plan your site pages to include those topics and keywords. Then plan to have an individual page that will specifically target each of those keywords. More about writing your content and building your site around your keywords in the next tutorial, Building Your Site With SEO in Mind. Consider the length of the domain name you choose. 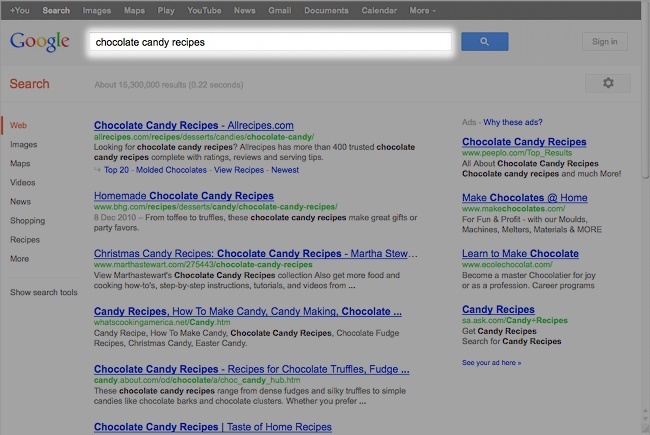 Will people be able to remember it or easily type it in when searching for your website? Consider using your business name for your URL (domain name) as long as your business name isn't Schufengachemigen Inc., who could ever remember schufengachemigen.com? If your business name has been taken by another website, consider part of your business name plus a general keyword that describes what you offer. Consider using a general keyword plus another word tacked onto the end. Consider very carefully the use of multiple hyphens in a domain name and avoid if possible. Hyphenating keywords in a domain name such as travel-south-america-easy-free.com does not promote credibility, appears spam-like and is difficult to type. To maximize traffic to your site, consider investing in your own domain name. A shorter web address makes it easier for your visitors to remember and spell, and stands out more in the search engine results. Your site will appear more professional, and some SEO research suggests that sites with their own domain rank better than sites published to subdomains. Note that buying a domain does not guarantee a certain search engine ranking and all the tips in this series should still be done to enhance your SEO. To buy a domain from Yola, click the Publish button in the Sitebuilder, and choose a domain name and hosting package.